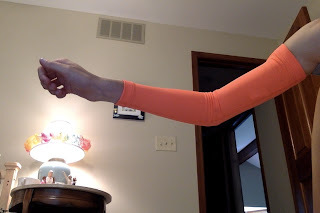 Before my mom and I journeyed out to Colorado last month (RELATED: A Hiker's Review: Ice Lakes, Ouray, Co) , we decided we needed some arm warmers to help minimize layers-- which really weigh down a Camelbak, believe me. 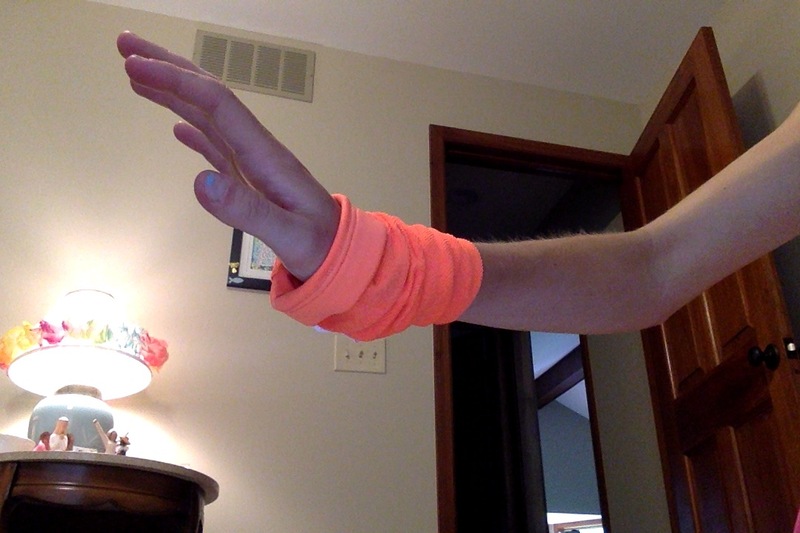 Well, let me rephrase that: I decided we needed some arm warmers and convinced my mom to buy them. I mean, seriously, what elite runner doesn't have arm warmers? If Ryan Hall sports some arm warmers or arm sleeves, than I must have them! Shallow, right? There is a real benefit to having them though. If you buy the right ones, they are perfect for a long run in brisk weather or a hike. They served us well when we were doing 7 hr. hikes and needed to constantly adjust to the changing temperatures. The point is, when you get hot, you can easily slip them off instead of taking off a whole long-sleeved shirt, or scrunching it up till your elbow is a gross, sweaty mess. Arm sleeves are predominantly used for sun protection, whereas arm warmers are a more thermal material to serve their purpose of keeping your arm warm. I got two arm warmers, since I didn't see a reason to get arm sleeves. My mom bought arm sleeves however, and I might review those later on. 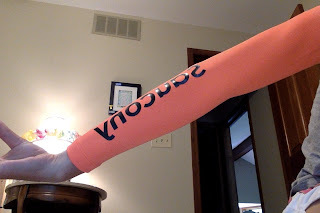 In this post, I'm going to review my orange Saucony DryLete Arm Warmers. I also reviewed my Skirt Sports Women's Arm Warmers (Click HERE to read). Has a man in your life ever told you that you can't buy something based on color? 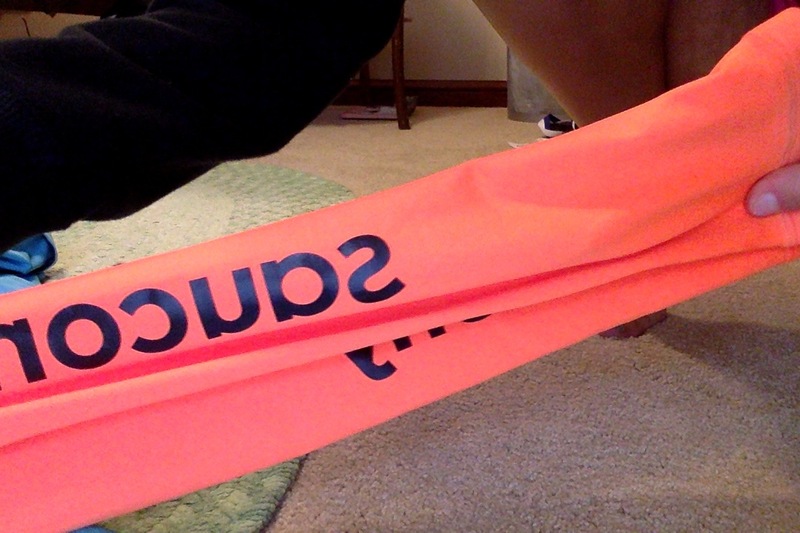 My dad tells me that sometimes, but I must admit: that is what drew me to the Saucony arm warmers. Well, that and the fact that those are the ones Ryan Hall wears. I bought a neon orange pair. They are super bright, and have the Saucony logo going down the side. After five wears-- but no washes yet-- a couple of the letters on the logo have started to crack, but I don't mind that much. Otherwise, they still look pristine, and are an excellent pop of color to my running ensemble. I was worried that arm warmers would be a bit itchy, but these were not very itchy at all. The only time they itched was if I was getting to sweaty and was going to take them off for that reason anyway. What sold me on buying these sleeves was that they were one of the only kinds that came in an XS, which is necessary for my puny arms. They fit PERFECTLY. I couldn't find a single problem with the length or compression. They were also very easy to slide down to my wrists or take off when the weather changed. The Saucony arm warmers were also warmer than the Skirt Sports arm warmers I bought (RELATED: Gear Review: Skirt Sports Women's Arm Warmers). 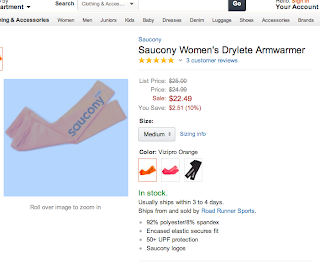 We bought the Saucony arm warmers on Amazon.com for only $22.00. Plus, we have Amazon Prime, so shipping was free and the warmers arrived in only three days. They were $25.00 on Saucony's website at the time. However, at the time of this publishing, they are on sale and only $6.00 with free shipping! I wish that had been the case when I was looking to buy them! 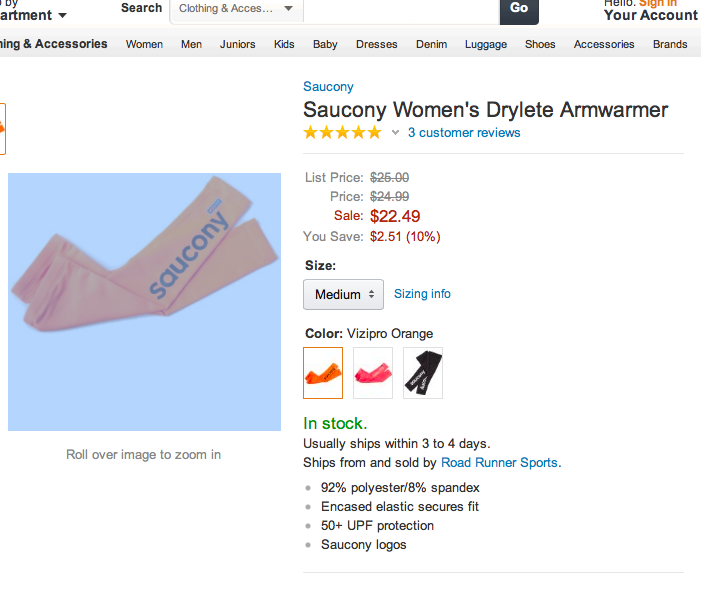 Click HERE to purchase the Saucony DryLete Arm Warmers on Saucony's website.